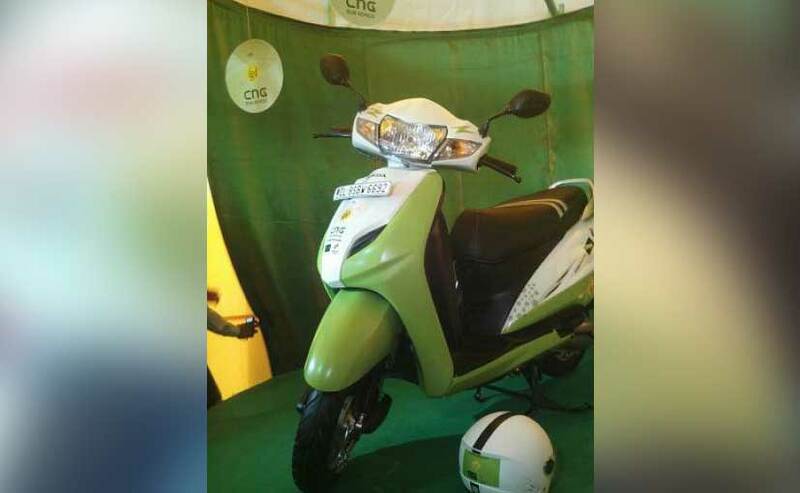 Now CNG-Scooter with 120kms range! | PlugInCaroo… Karo plugin… abhi!… save the environment!!! 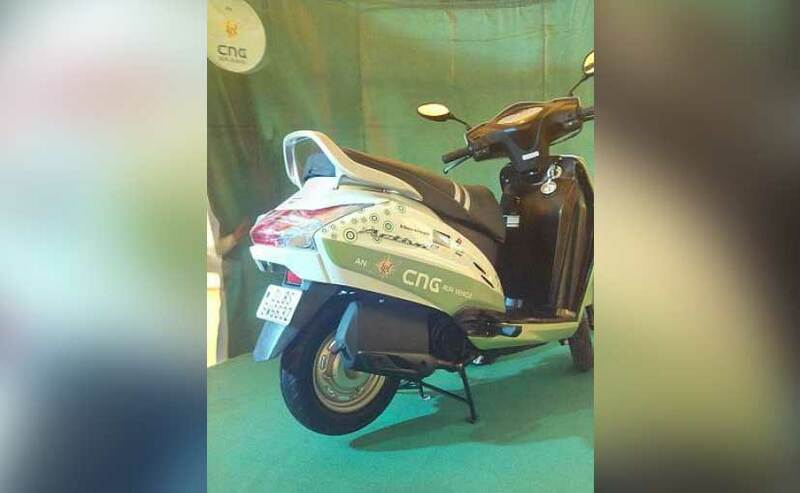 The CNG scooters have been given to Domino’s pizza delivery boys as part of the pilot programme. two wheelers running on Compressed Natural Gas (CNG). The ministry is looking to promote clean fuel with the pilot project that will not only be environment friendly, but will also be cheaper to run. The time-line to test run the pilot project though is not clear at present. The pilot programme is limited to Delhi at present and is being conducted by Indraprastha Gas and GAIL India. The project includes 50 Honda Activa scooters that have been retrofitted with CNG kits and will be given to Domino’s Pizza delivery boys for free. The government will then monitor their performance closely for efficiency and emissions before the programme is made accessible to the general public. The CNG kit is fitted in front of the Honda Activa, where the glove box is located and as a result, do not consume on the luggage space on the scooter. The kit comprises of two CNG cylinders that have a capacity of 4.8-litres or 1 kg of CNG in each. The scooters are said to have a range of up to 120 km in a single fill. In contrast, Honda claims a fuel efficiency figure of 62 kmpl on the petrol powered Activa. Going by the estimates, riding the CNG powered Activa could cost as low as 61 paise per km, as compared to 1.3 per km on a petrol scooter. M/s Ituk Manufacturing India has manufactured the CNG kits and the ministry has received the requisite approvals from the Automotive Research Association of India (ARAI) and Transport Department of Delhi to use the same. The government has also received approvals from Petroleum and Explosives Safety Organization (PESO) and International Center for Automotive Technology (ICAT) for the components used in the CNG kit. According to Ituk Manufacturing, the CNG vehicles will have 75 per cent less emission of hydrocarbon, while carbon emissions will be down by 20 per cent. The results of this project hold extreme importance as the same will determine if the government gives a nod to sales CNG equipped two wheelers in the future.